We cover the following area’s shown on the map below. We provide a traditional mole catching and rabbit catching service throughout the above area. 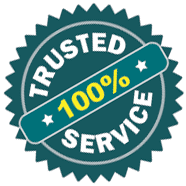 Our service is guaranteed, and we always try to offer a competitive price. We work on the ‘No mole, No Fee’ principle, which means that you only pay us for results. All control is undertaken using humane traps, no poisons are used.. Ongoing maintenance contracts are available for non domestic/commercial properties if needed and prices are to be agreed by both parties.